While there is never a need to fix what’s not broken, if the results you’re getting out of your square stance are less than desirable, it may well be time to take a closer look at the open putting stance. There’s enough consensus among amateur and pro golfers alike to support the validity of the open stance. It’s not only professionals having success! Golf forums abound with intermediate player’s accounts of how much switching to the open stance has improved their putting game. The question remains, which stance should you use? Let’s get a better view of what the open stance can do for your game. 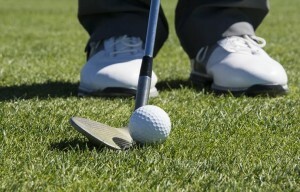 The straight, or square stance is the traditional golf stance taught by instructors to any newly started golfer. This stance is perhaps best described by forming an imaginary line from heel to heel, with both feet pointed straight ahead. 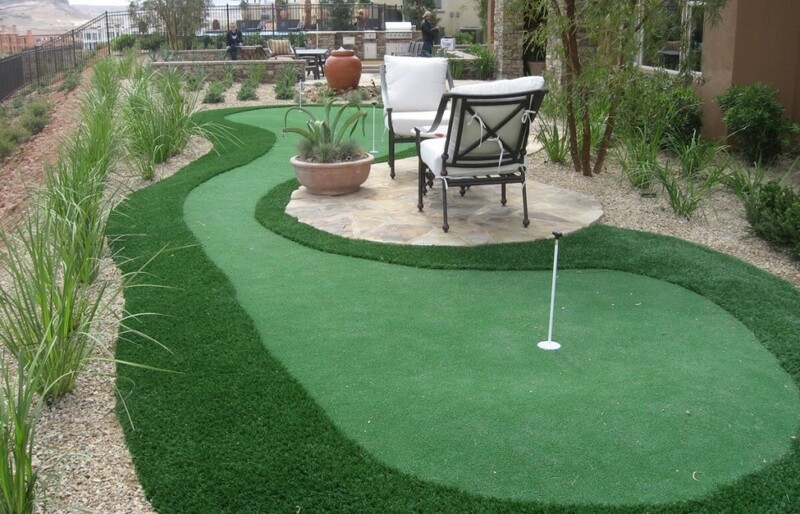 The line formed between your heels is presumably headed towards the hole, or on the desired path you believe will get your ball in the hole. The square stance is the recommended starting stance. 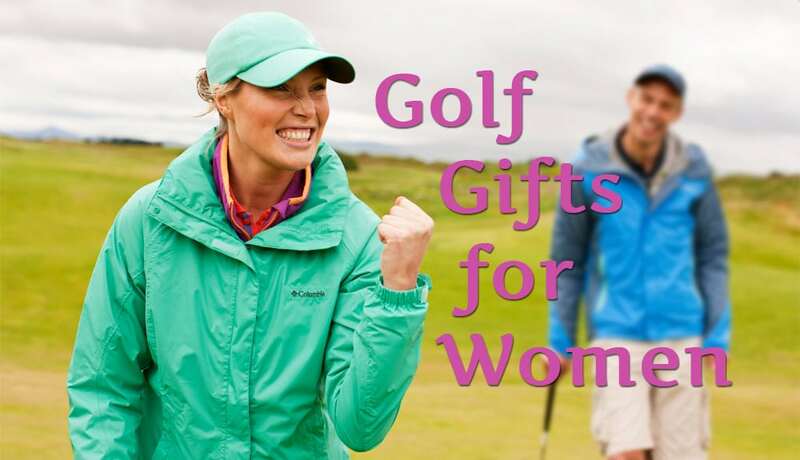 You’ll learn the importance of keeping your knees, legs, hips, back, and eventually arms square with the golf ball. It’s here that you’ll also get a feel for how much force to use while putting, as well as the importance of follow through. 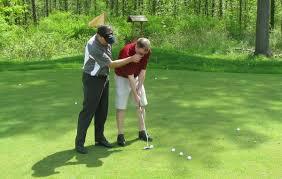 Besides getting used to your putting grip, you will also be shown how to sight the ball and line up your shot. This last part is the sticking point where amateur (and professional) golfers sometimes switch to an open stance. The open stance in its basic form places the front foot backwards so that the heels are no longer forming a line on the target path, or perpendicular with the ball, whichever way you look at it. 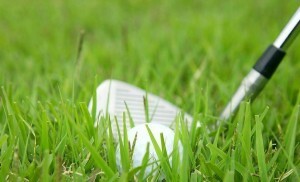 The biggest claim of advantage lies in the way a golfer is able to see the ball, in relation to the line he (or she) wants the ball to travel. Many golfers claim that with a straight stance they have to look down to see the ball, but can’t see the line unless they slightly pivot their head. Switching to the open stance creates a view of the ball and path of travel by placing the golfer’s head behind the ball. 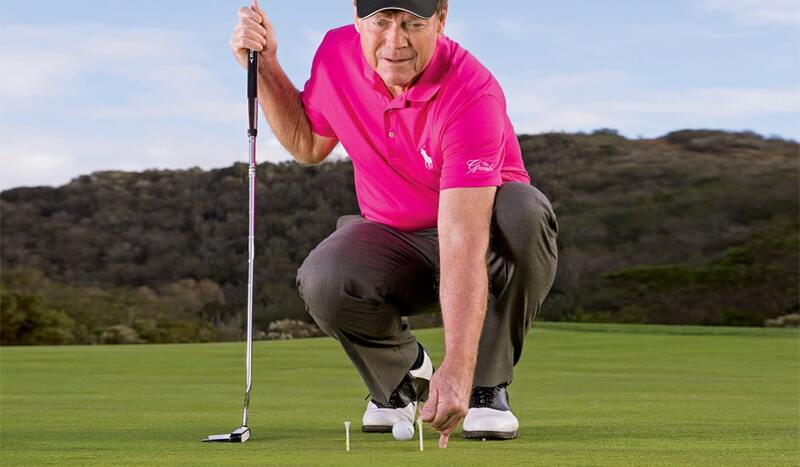 It’s important to note that although we believe in the value of developing strong fundamentals by learning the traditional straight putting stance first, we also believe that this should by no means be the absolute rule. It can be especially difficult if you have different instructors asking you to use different styles. 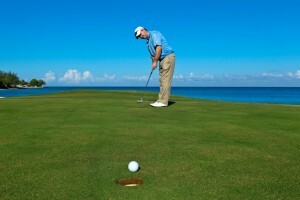 The important thing for every golfer is to learn, and keep the fundamentals. They don’t change between the styles. Continuing really from where we just left off, the concerns of switching to an open putting stance all come down to losing the fundamentals. 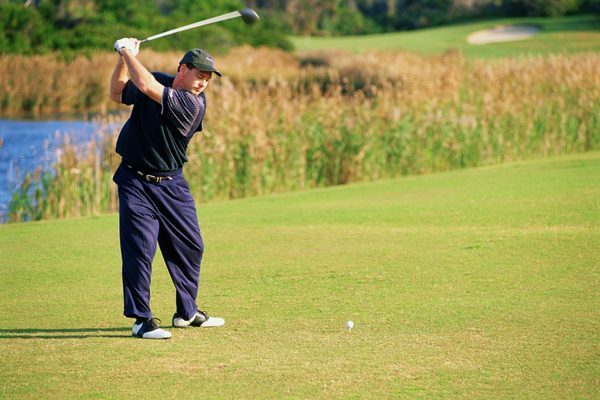 Though a golfer may open his stance, opening the rest of his body must be avoided. It will usually result in a swing that pulls the ball. 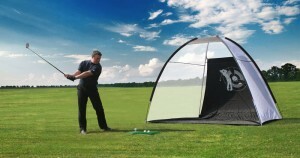 Of course it’s easy at first to fall into poor body position, but a golfer who knows the fundamentals will correct this. The bigger drawback that is often pointed out, is the effect that developing poor body position can have on the beginner. 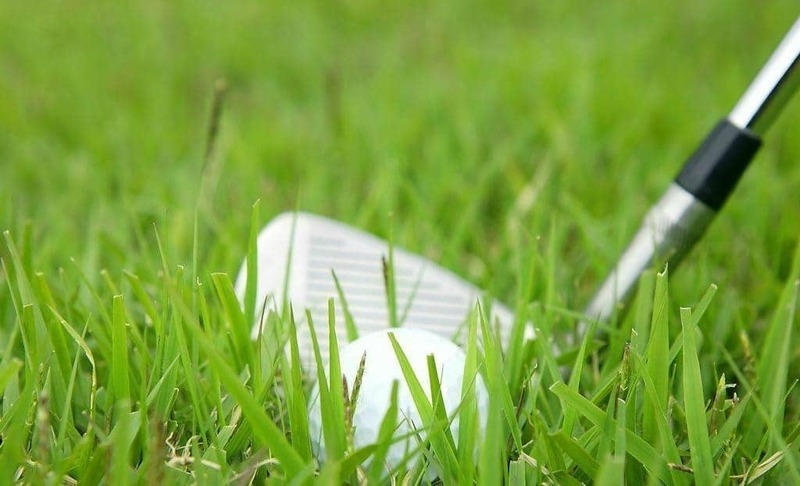 Developing bad habits from the get go can often be extremely difficult for a golfer to break, and discouraging play can often lead to disinterest in the game. Whichever way you decide to start, or if you’ve played for some time and want to try the open stance, don’t lose sight of those ever important fundamentals. Our final opinion of what stance you should use is, of course, the one that works best for you. That being said, we do like the benefits of the open putting stance, especially for those that may be wanting some better results out of their putting game. A better line of vision between the ball and the line of travel. Offers more freedom for the arms to swing on the proper path. 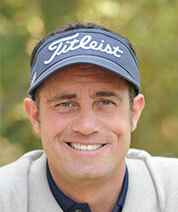 Allows the face of the putter to stay on the line of travel longer. Makes for better follow through. Better vision helps for a more accurate strike on the top half of the ball. We have no use of making a list about the cons of an open stance. It really comes down to the singular concern that golfers will develop the bad habit of opening up the rest of their body, and pull the ball. Knowledge and practice of the right fundamentals should defeat the tendency to have poor body position, and allow the full advantages of an open putting stance to improve your game. 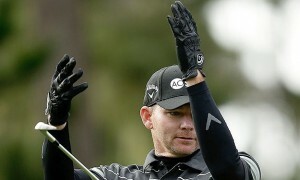 I tried putting with an open stance and using the iping app my consistence went from 19hcp to +0.3hcp on the app. There is definite positives to this stance. My club stayed on the line longer and my right eye was over the ball. I’m right eye dominat and right handed so that is a real plus for my aiming. The question is how open do you go? Personally I went Bryson De Chambeau open probably a bit extreme but consistence as thats the max I could go.